Is Our Government This Paranoid? What happens if a government becomes paranoid of the very people it supposedly serves? Within the first year of the Obama dministration, a report came out dealing with “right-wing militia” and essentially reported that much of the conservative establishment is a part of possible terrorist organization. When I read that the Department of Homeland Security bought enough bullets and arms to fight the equivalent of 24 years of the Iraqi War, I ask myself why? 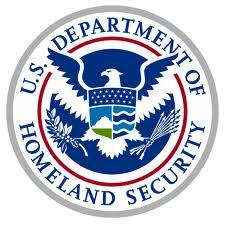 I had to admit, I didn’t even know that Department of Homeland Security had their own security force, but while I have never been the conspiracy sort, I have come to a conclusion that there are many on the left who truly believe in their own version of conspiracy. The Missouri Information Analysis Center produced a study early in the Obama administration warning Americans that right-wing extremists were ready for a revolution. (The Missouri Information Analysis Center is a center that collects intelligence from various local agencies and the Department of Homeland Security.) As the report noted, "It is not uncommon for militia members to display Constitution Party, Campaign for Liberty, or Libertarian material. These members are usually supporters of former Presidential Candidate: Ron Paul, Chuck Baldwin, and Bob Barr." That is right, apparently Ron Paul was ready to lead a revolution of his supporters, and his son has now taken over as the head of the armed rebellion. The Huffington Post, one of the left’s leading internet site, noted about the report, “If you think the conservative "Tea Party" movement is daunting, take a look at a new report issued by the Department of Homeland Security that says right-wing extremism is on the rise throughout the country…In the report, officials warn that right-wing extremists could use the bad state of the U.S. economy and the election of the country's first black president to recruit new members to their cause.” Granted there are many on the right who might share a paranoid view about the left but then the left's paranoia may even reach within the government and part of leading leftist journalistic enterprises. Of course, in modern day America, mediocrity is often rewarded and Janet Napolitano shouldn’t be forgiven for thinking that she is qualified for President since the most popular politician today is Hillary Clinton, whose stewardship as Secretary of State is proving to be a disaster for the next Secretary of State to deal with, and we should not forget her lack of leadership during Benghazi in which four Americans were killed. Her stewardship over the last year should have been a career ender, but she is now more popular than she has ever been in her life and Obama has demonstrated one can be re-elected by producing the worst recovery from a recession for the past century! And leaving America further in debt than what he inherited. While many recoiled at Mitt Romney, 47% of Americans being takers, the media and most in the ruling class often overlooked Obama's comments about bitter clingers directed at gun owners and church goers, which pretty much represents a far greater number of Americans than Romney's famous 47% takers statement. For me, the bitter clinger reflected how Obama viewed much of those who he governs, and the initial Department of Homeland Security reflects how many within this administration view their fellow Americans as something to be feared. I can’t explain why the Administration's view would buy enough Ammo to fight 24 Iraqi wars. As one friend of mine observed, it is likely someone in this Administration viewed the purchases as a means to reduce gun ownership by reducing the amount of ammo available on the market and increase the cost of buying ammo and guns in an effort to price the average American out of the market. One question that might prove more troubling is do we have an administration that is paranoid? Would you save me some search time and show me the outrage you blogged when George W. Bush' presidency was plagued with embassy killings? Thanks. Just email them to me or post them on here, and I'll check back.